In a replay of a drama that has taken place countless times across North America, the opponents of Wal-Mart have teamed up to prevent a new superstore from opening in Whitehall Township. Back Off Walmart – Not Our Town (BOW NOT), is questioning whether another Wal-Mart is needed given that there are several other stores within a 50 mile radius of the Muskegon County community. The group also is arguing that Wal-Mart will drive out locally owned businesses and that its presence will destroy the area's small town feel. What all of these arguments ignore is the way in which Wal-Mart very effectively meets the needs of lower-income residents for cheap, convenient goods and services, and provides several hundred new jobs paying above minimum wage in comfortable indoor working conditions. An area full of small independent retailers that captures a romanticized vision of a small town might be affordable for those who have jobs and who can pay the higher prices charged by local businesses, but for the many in the middle class and working poor, those are luxuries they'd rather not have to try to afford. Opponents of Wal-Mart have frequently relied on the argument that it destroys local businesses. This claim is dubious for several reasons. First, the actual evidence shows that when Wal-Mart moves in there is occasionally a very short-run loss of local businesses that cannot compete with Wal-Mart, but within short order, Wal-Mart begins to attract new, different businesses like restaurants that complement its own products and services. In addition, local businesses learn to adapt and often begin to specialize in products that Wal-Mart does not offer, or compete by providing levels of personal service that Wal-Mart cannot. Local hardware stores have learned that by providing customers with detailed help on specific projects, they can attract business away from Wal-Mart even if their prices are slightly higher. More generally, it's not clear why the focus should be on protecting local businesses. The real concern should be for what is best for consumers not business owners. Wal-Mart's lower prices make a huge difference for many families. Saving a few dollars on diapers might not matter very much to the upper middle class anti-Wal-Mart crowd, but for the working poor, that might be the difference between affording a little more or better food every week and going without. Beyond price, Wal-Mart offers a variety of items that local stores cannot, and often in sizes that they do not carry. At a public hearing on a proposed Wal-Mart in northern New York several years ago, a number of local women spoke in favor of Wal-Mart because it was the only place they could shop that carried larger sizes, and did so at prices they could afford. Local business often are notorious for keeping fairly limited hours, which is understandable given that the owners want to live the rest of their lives in the evenings and on the weekends. Yet for families with two working parents, or single parents who cannot take time away from work during the day, these small business make shopping a challenge. Wal-Mart and other chain stores are open at hours local stores are not, which can be a life saver for a parent with a sick child and a time saver for working parents in general. One final benefit to consumers is specific to Wal-Mart superstores like the one proposed in Whitehall Township: Shopping for a whole number of goods requires only one trip to one location. In a small town without a large chain store, shopping trips require multiple stops at different stores to find everything consumers want. This not only is challenging with small children, it also takes more time and uses more gasoline. Those who criticize Wal-Mart on environmental grounds often overlook the way in which the one-stop shopping of a superstore is a gas saver, and with gas prices hovering around $4 per gallon, that matters to families of modest resources. The fact that the White Lake Area Chamber of Commerce has joined the opposition is a good indication of the ways in which Wal-Mart is good for consumers. Local businesses would like nothing more than to block the competition that Wal-Mart represents so that they are not pressured into changing their own business practices to keep their customers happy. Their opposition just goes to show that sometimes it is the capitalists who dislike capitalism the most. They would love to keep their limited hours and selection and higher prices, but they also know that consumers will flock to Wal-Mart if given the opportunity. The competition that Wal-Mart represents does not primarily benefit Wal-Mart or other businesses, but the consumers that all of them serve. That is precisely why local residents should see the opposition from local business for what it is: an attempt to preserve their little kingdoms by shutting out competition that would benefit consumers. Finally, whatever the benefits it brings consumers, Wal-Mart brings jobs. The average Wal-Mart superstore creates anywhere from 300 to 400 jobs, and Wal-Mart normally pays above minimum wage, which distinguishes it from local businesses that normally cannot afford much more than the minimum. Jobs at Wal-Mart are hardly cushy and it takes time for many entry level employees to get significant benefits, but Wal-Mart pays competitively, jobs are indoors in comfortable working conditions, and even entry-level employees are trusted with significant levels of responsibility in things like tracking inventory. Wal-Mart jobs are, along many dimensions, much better than entry-level fast food positions, which might explain why the typical new Wal-Mart gets applications that are multiple times the number of openings available. Public debates over Wal-Mart are inevitably skewed because the opponents of Wal-Mart tend to be wealthier and more powerful than the typical consumer who will benefit most from their presence. The wealthy and powerful also tend to have the time and resources to take their case into the public arena and make themselves look like they are speaking for a broader constituency than they are. The working poor and middle class are too busy trying to juggle work and family and put food on the table to attend public forums and write letters to the editor. But when you ask them, they will tell you how much they would like to have stores like Wal-Mart as conveniently located as possible. A store 10 or 15 miles away may not seem like much of a burden, but for families caught in the crunch of multiple demands on their time and $4 per gallon gas, the costs of travel are ones they would love to avoid. Groups like BOW NOT claim to speak for the community, but they often represent a narrow slice of citizens, and those tend to be ones for whom the benefits of a more conveniently located Wal-Mart are not significant enough to matter. For the struggling families who benefit most from Wal-Mart's low prices, greater variety and convenience, and the jobs they provide, having one even closer to home can be a big difference maker. The opponents of Wal-Mart should look their less well-off neighbors in the eyes and tell them that they don't need a closer Wal-Mart. The odds that they will "bow not" to that argument are pretty high. 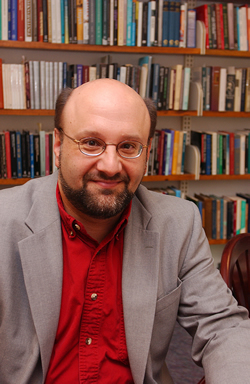 Steven Horwitz is the Charles A. Dana Professor of Economics at St. Lawrence University in Canton, N.Y.